So everything is moving on as it should be with our new home here in Denver….. we practically have given our lender everything but blood. We don’t have an officially closing date or move in date yet but that’s ok…. we know we will be moving sometime late July! 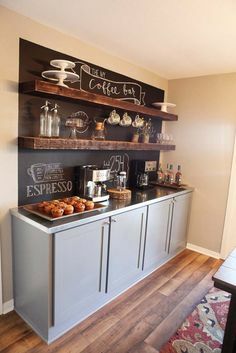 In the meantime I have been a mad “pinning” fool on Pinterest getting as much inspiration for the new home as my little heart can take! And no way…. we aren’t buying all new stuff we are mostly working with what we already own but jazzing things up a bit! But I have found some amazing inspiration for things that we can do in the future too! We are excited about our 2 story deck and look how cozy this looks…. 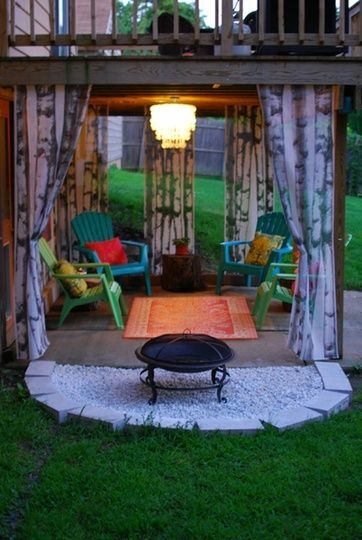 I keep telling Matt about outdoor curtains and he thinks I am crazy…. 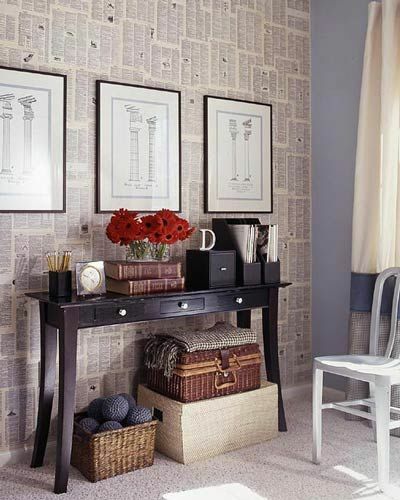 Our Master bedroom is so huge I will be combing it with my home office but there is also room for a reading nook…. 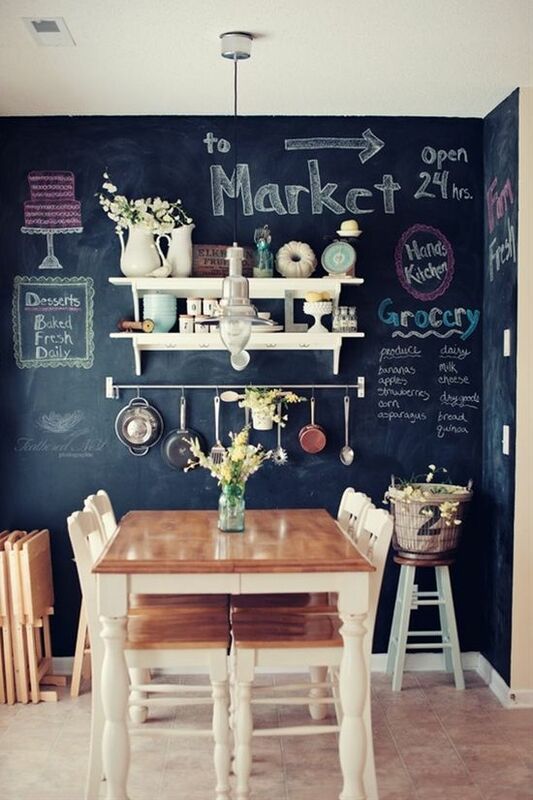 how charming is this? 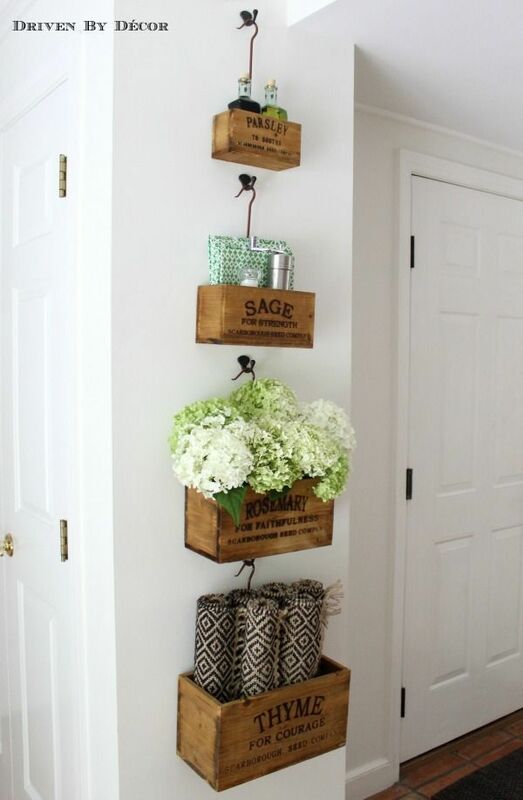 Adorable for any weird wall in the kitchen and I love burlap/old boxes! 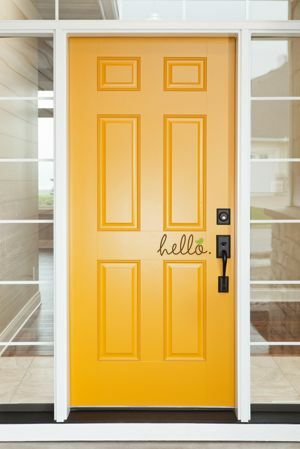 I have decided on this color for the front door…. I think it’s called Bee by Sherwin Williams! It screams Happy doesn’t it? How cute is this????? 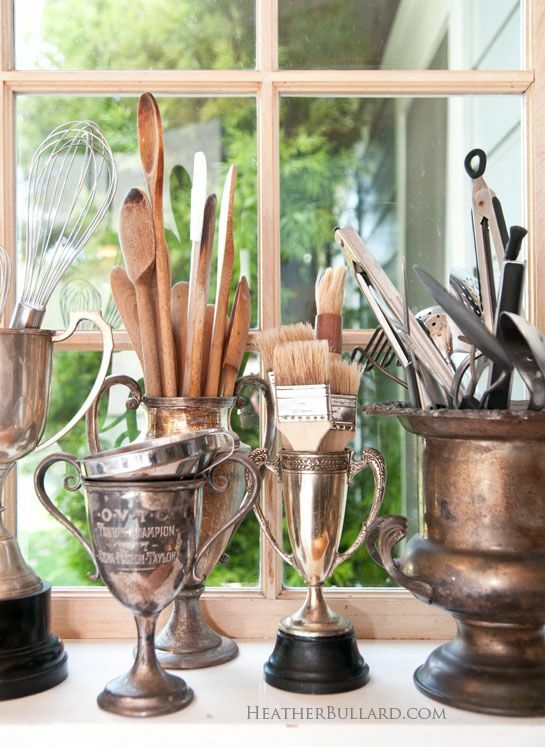 But oddly I looked up old trophies on Easy and they are so pricey! But my eyes will be peeled……. 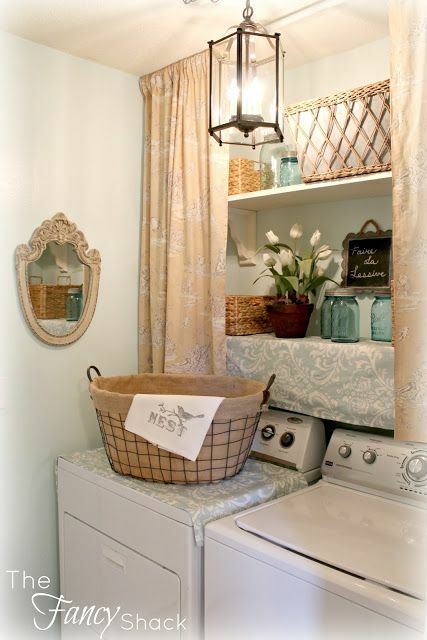 In the future I really want to transform our drab white laundry room into a place I won’t hate being and working it! 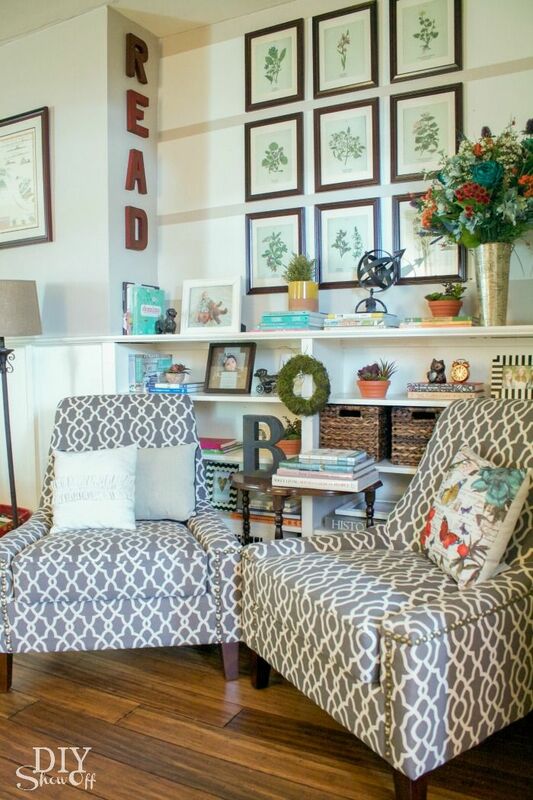 I swear if Matt would let me we have this nook as soon as you walk into the house/hallway where out entry table will go I want to do that wall in book pages!!!!!! I mean….. amazing right?? He thinks NO… I say YES! This picture describes us… our colors are black, wood, red, yellow with naturals and I love everything about this… This pic is my jam! OH!!!!! 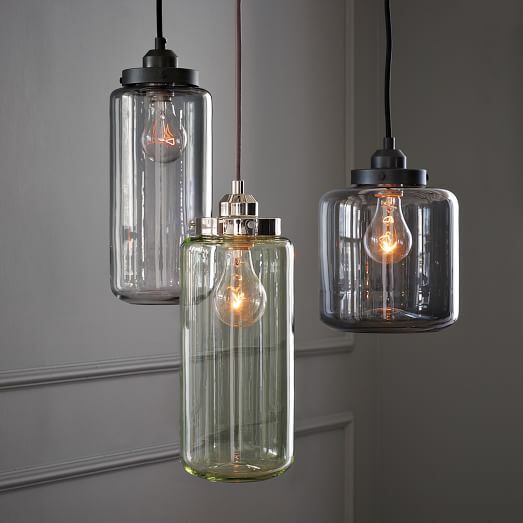 I bought these….. the clear large one… 2 of them to be my new pendant lights in the kitchen!!! YAY! 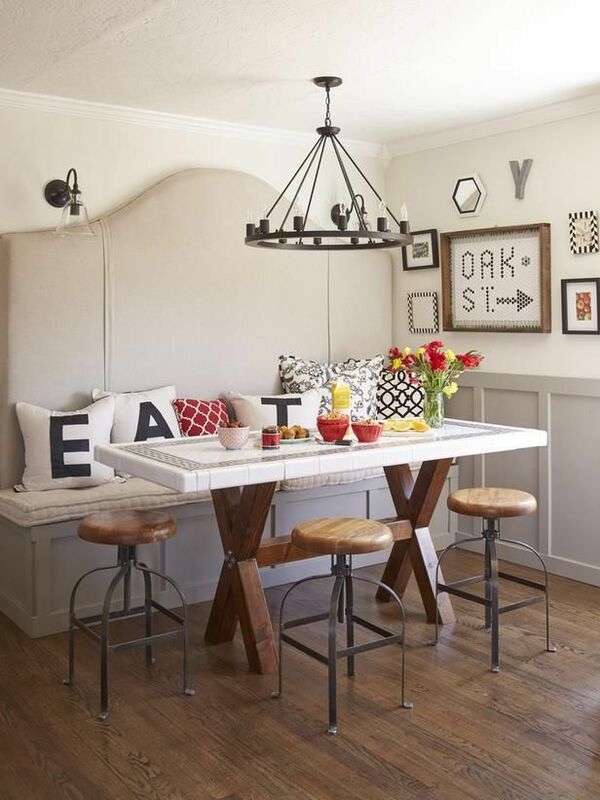 It is contemporary, but classic and you can do so much with it!!!!!!!! I am dead set on this!!!! With our white barn table from Pottery Barn!!!! SO you know what all is swirling around in my brain lately…. I have to now have patience! haha!